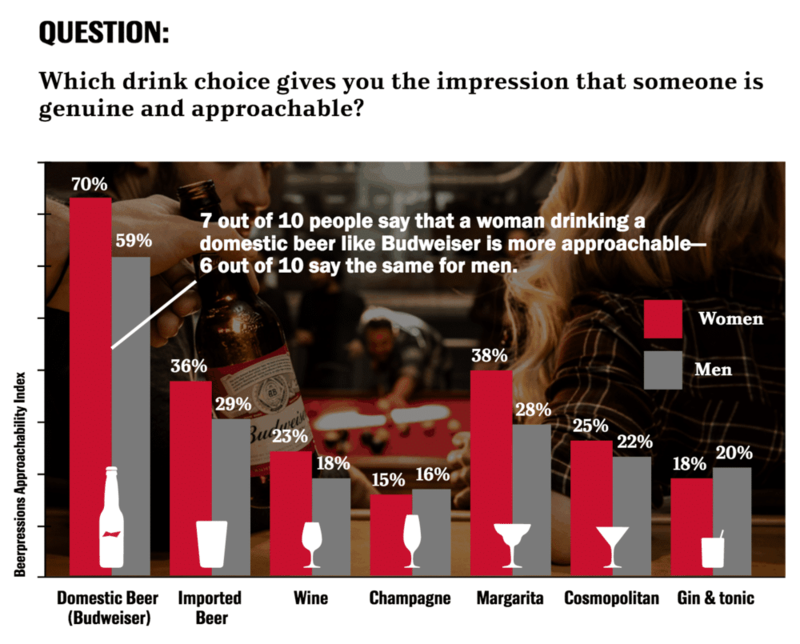 DOMESTIC BEER (BUDWEISER): Both women (70%) and men (59%) who drink a domestic beer are perceived as more approachable. IMPORTED BEER: Has a positive effect for both women (36%) and men (29%), but not nearly as strong as domestic beer. WINE: For wine lovers, women (23%) and men (18%) have lower overall approachability perception rates. MARGARITA: The highest-ranking cocktail for approachability (38% for women and 28% for men), but still ranks significantly lower than domestic beer. When it comes to work events, dates, and other social functions, both men and women communicate via their drinks. 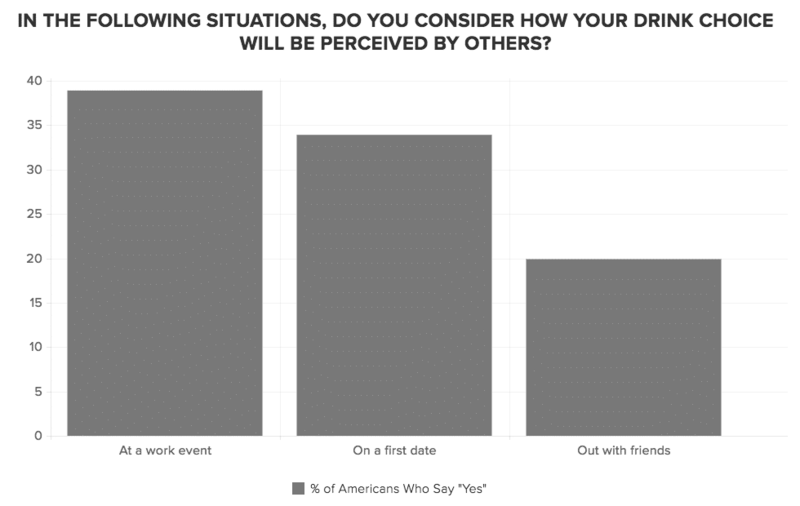 While 20% of Americans will actively consider how their drink order will be perceived by others while out with friends, nearly twice as many think strategically about their drink choices at a work or networking event (39%) or on a date (34%). Also, it turns out that the majority of Americans also believe that "you are what you drink." 61% of people surveyed agreed that "what a person drinks at a bar gives significant clues about their personality"—with 1 out of 3 often "making quick judgments" about strangers based on this information. So is it true that ordering a Bud could be the best way to break the ice? Regardless of where you fall on the issue, it's a fascinating topic for water-cooler discussion. Want more? Celebrate National American Beer Day and learn about holidays today at NationalToday.com!